T3 has teamed up with Vodafone and Giftcloud to run some exclusive and super awesome fibre broadband deals for the next few days! If you sign up for a Vodafone broadband deal before the end of Sunday, you'll be able to claim a free £60 Amazon voucher for your trouble. And that's not all – at the same time Vodafone has slashed its prices so you can get fibre broadband from just £21 per month. All you've got to do is go via the Giftcloud links below. 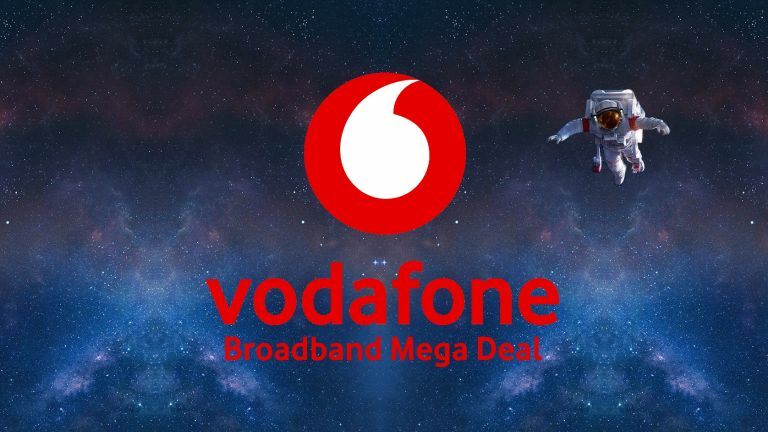 Vodafone's fibre broadband deals were already the cheapest – it's on a big recruitment drive right now – so this deal is probably the best broadband deal you're likely to see for the foreseeable future. Vodafone normally saves its best broadband prices for its existing mobile phone customers but for this deal it's making those cheaper prices available to everyone – so if you're looking to switch your broadband supplier or sign up at a new property, this couldn't have arrived at a better time. The £21 per month deal is for up to 38Mb fibre broadband which would give you download speeds of around 4.7MB/s – fast enough to download a large album on Spotify in about 12 seconds or an episode of Lost in Space in HD on Netflix in about 90 seconds. Meanwhile, for £26 per month you can get superfast fibre with speeds of up to 76Mb – that's a download speed of about 9.5MB/s which is fast enough to download the same album in about 6 seconds or the Netflix HD episode in 42 seconds! Either of these broadband packages is easily fast enough to download or stream 4K video – Netflix 4K only requires 25Mb speeds so even the 38Mb option is more than fast enough with room to spare. Vodafone is also so confident in its speeds that if it doesn't hit the stated numbers it'll give you your money back. See the full details on these deals below as well as some price comparison tools so you can compare them against the UK market in your area. We've taken a look at the UK market and this is by far the best broadband deal you're going to find at the moment. The total cost of this plan is just £378 over the course of the 18 month plan so if you remove the value of the £60 Amazon voucher that leaves you paying just £318, or about £17.60 per month - about what you'd pay normally for a slow old-style ADSL broadband deal. If you want even faster speeds, you can double your speed to 76Mb for just £5 extra per month. If you're living in a big household or with data-hungry housemates or family members this is a fantastic value offer that beats the one above. Remove the value of the free £60 Amazon voucher and you're only paying the equivalent of £22.66 per month which is astonishingly cheap for broadband this fast! The only way to get broadband for a cheaper price than the above is to go for much slower speeds. In fact, you'd need to go for old-style ADSL broadband if you want to beat those prices and we really don't recommend that these days!